Our Birthday Golden Crown Balloon Display is a spectacular balloon arrangement. 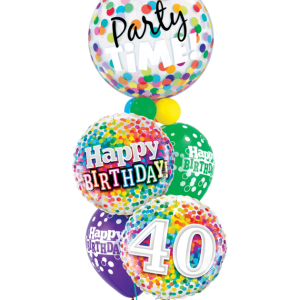 Great for an entrance balloon to greet guests into a birthday party. To give as a gift, or use as a table arrangement. Use for an entrance balloon into a birthday party , this balloon display would be a talking point.